(CBS/AP) PARIS - An emergency layover in Syria's capital was bad enough. Then passengers on Air France Flight 562 were asked to open their wallets to check if they had enough cash to pay for more fuel. The plane, heading from Paris to Lebanon's capital, diverted amid tensions near the Beirut airport on Wednesday. Low on fuel, it instead landed in Damascus, the capital of neighboring Syria, where a civil war is raging. An Air France spokesman explained Friday that the crew inquired about passenger cash only as a "precautionary measure" because of the "very unusual circumstances." Sanctions against Syria complicated payment for extra fuel. 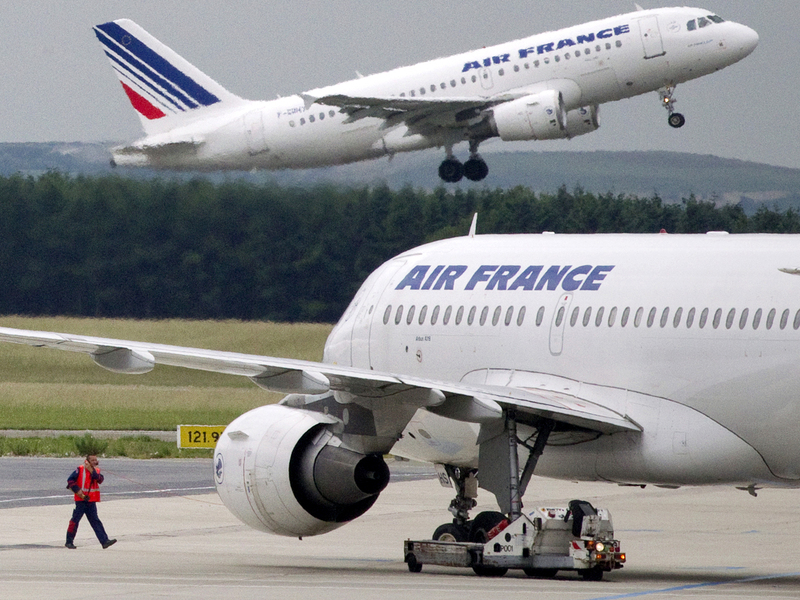 He said Air France found a way to pay for the fill-up without tapping customer pockets  and apologized for the inconvenience. The airline had never resorted to such a request before, he said. The plane took off for an overnight layover in Cyprus then landed safely in Beirut on Thursday. Lebanon is a volatile mix of pro- and anti-Syrian factions, and a series of hostage-takings has raised worries about Lebanon being dragged deeper into Syria's unrest. Mobs supporting Syrian President Bashar Assad blocked the main airport highway in Beirut on Wednesday, before Lebanese military units moved in. Air France's unusual request wasn't the first time an airline asked the people on the plane to help get their flight to its final destination. In November, hundreds of Comtel Air passengers traveling from India to Britain were asked to kick in more than 20,000 pounds ($31,000) to fund the rest of the flight. The charter service was stranded for six hours in Vienna when their flight stopped for fuel. Britain's Channel 4 news broadcast video showing a Comtel cabin crew member telling passengers: "We need some money to pay the fuel, to pay the airport, to pay everything we need. If you want to go to Birmingham (England), you have to pay." Some passengers said they were sent off the plane to cash machines in Vienna to raise the money. Bhupinder Kandra, the airline's majority shareholder, told the Associated Press that travel agents had taken the passengers' money before the planes left but had not passed it on to the airline. In a more tense situation, during the 1985 hijacking of Trans World Airlines Flight 847 by Lebanese gunmen, flight attendant Uli Derickson famously paid with her Shell credit card to have the plane refueled. The ground crew in Algerian capital of Algiers refused to fuel the plane for free, even when the terrorists threatened to kill passengers.